I was determined to make up a masculine card as it seems we never have enough of them. As it turns out, while swapping that was the one comment made over and over again when they selected this card. 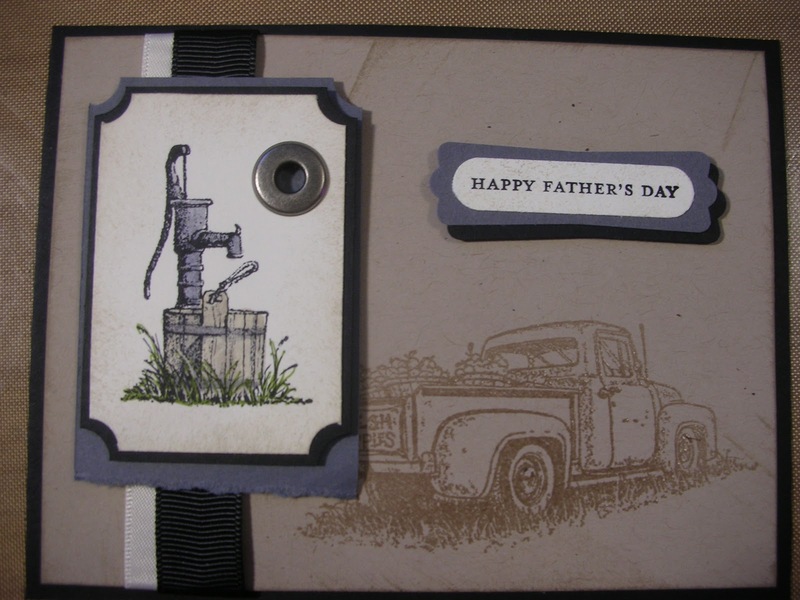 The card is made using Basic Black, Basic Gray, Very Vanilla and Crumb Cake cardstock, Whisper White satin ribbon, Basic Black grosgrain ribbon and a jumbo eyelet. The stamp set is Countryside. 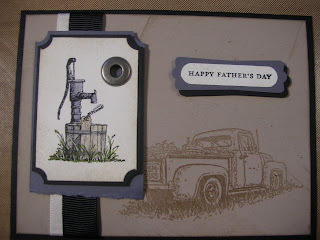 I used clear embossing powder on the truck so it would stand out more and I love the result. How about you?